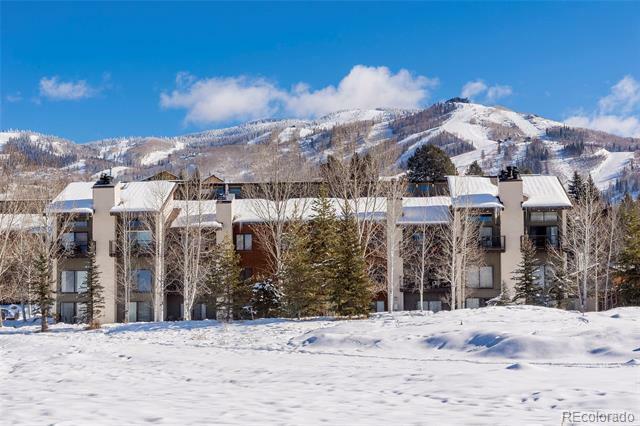 This coveted Rockies larger one bedroom condo comes complete with a golf membership to Rollingstone Ranch Golf Club with buyer paid transfer fee making it the perfect year round or vacation home for skiing and summer fun. Located within walking distance to Gondola Square, the indoor year-round Tennis Center, the Strings Music Festival pavilion and Wildhorse Marketplace. During summer, enjoy the easy stroll to the Steamboat Ski Area promenade where creekside fun awaits with the Gondola Fun Zone, restaurants, shops, free concerts, movie nights and art exhibits in addition to miles of hiking and mountain biking trails. On-site you can also enjoy the pool, hot tub, volleyball in summer and a small clubhouse with light fitness equipment. The free city bus stops just outside your door for catching a ride to the ski area or around town. This lovely one bedroom has been updated in recent years with new stainless appliances, granite tile countertops, flooring and more. Don't miss out.